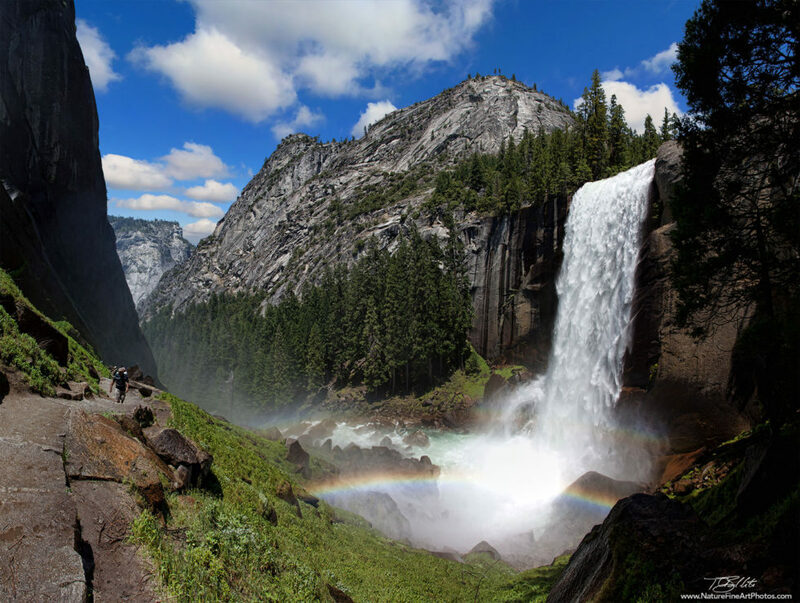 The powerful surge of water pouring off of Vernal Falls in Yosemite National Park creates the Mist Trail. In the morning light, the sun sits at the perfect angle to create the natural rainbow. The lush green grass is continually fed with water and sunlight throughout the summer months. The granite walls, mountain tops and stone trail add to the scene. The hiker adds perspective on the left side of the frame, while century old pine trees finishing off the right edge. This is a series of six photos merged into one huge panoramic image.